The classifier for 2018 is Katy Holder-Vale from Great Britain. 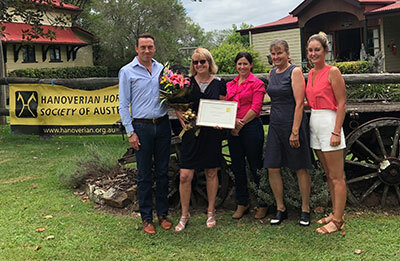 Katy has been breeding Hanoverians for over 30 years and has been a judge for the British Equestrian Federation Futurity evaluations for 10 years. Katy currently stands 2 stallions along with 9 broodmares at Witcham House Farm. 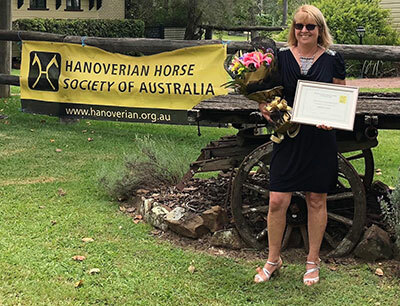 For the last 28 years, Katy has been on the British Hanoverian committee and for the last six years, has taken the role of Chairman. 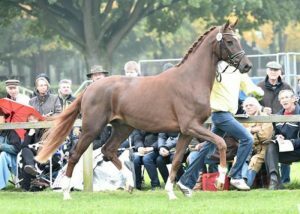 In 1998, Katy qualified as a judge in Germany, having judged foals, mares, mare performance tests and stallion licensing. November 12, 2017 By HHSA / Posted in 2017. October 26, 2017 By HHSA / Posted in 2017. 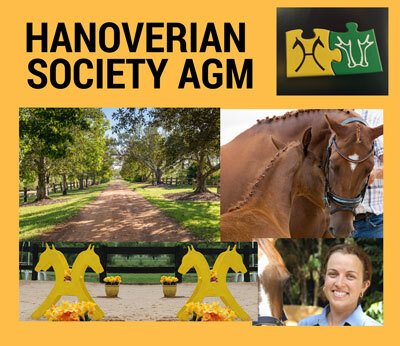 The Hanoverian Society invites all members, family and guests to our 2017 AGM. Commencing at 10am we invite all members and guests to mingle and catch up over a delicious morning tea and coffee. The AGM will begin at 11am. Following this we will have our guest presenter, Dr Tori Doyle, a give a seminar on all things breeding and raising foals. We are very lucky to have Tori, a reproduction specialist with us for the event, and she will be happy to answer any questions following her seminar. The day will conclude with lunch served by Spicers Homage Restaurant. We look forward to seeing many familiar faces and meeting new breeders! Address: Spicers Retreat Hidden Vale (617 Grandchester Mount Mort Road, Grandchester QLD). July 11, 2017 By HHSA / Posted in 2017. How would you like opportunity to design and breed the Hanoverian foal of your dreams! Choose a Celle Stallion & with one dose, from IHB, it can be yours with the winning raffle ticket! Limited number will be sold. DRAWN August 25th, 2017 or prior if sold out. Thank you to Landgestut Celle and International Horse Breeders for their continued support. April 27, 2017 By HHSA / Posted in 2017. April 7, 2017 By HHSA / Posted in 2017. March 10, 2017 By HHSA / Posted in 2017. February 22, 2017 By HHSA / Posted in 2017. December 21, 2016 By HHSA / Posted in 2017.